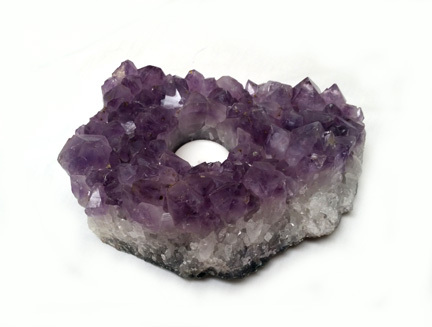 Amethyst Crystal Cluster drilled for votive or tea light candle. You will love the way the candle light glows off the crystals.! Approximate size: 5 inches.